Slots are the most popular casino game in the world. Depending on where you live and what the casino conditions are there, slot machines make up 70% to 80% of the casino’s revenue–sometimes more. I like to think of slot machines as a type of junk food gambling. The games aren’t really good for you, but they sure are fun. Since most people can’t resist stuff that’s lacking in nutrition but tasty as heck, casinos oblige them by devoting enormous amounts of floor space to the games. Even online casinos offer longer lists of real money slots games than any other type of casino game. One might think that there’s not a lot to discuss when it comes to gaming machines. You put your money in, you pull a level or push a button, and you wait to see how much, if anything, you’ve won. I like to think that your awareness of what’s really going on with these games makes them more fun, so the purpose of this page is to provide some insight into how slot machine games work. Being knowledgeable isn’t as much fun as winning jackpots over and over again, but I’m only qualified to help with the former, not the latter. It’s helpful to understand the origins and history of these machines, even though the difference between modern versions and the games that were being played several decades couldn’t be more pronounced. The first slot machine was actually invented over 100 years ago, in 1899, by Charles Fey. He was a German immigrant who worked as a mechanic in San Francisco. The machine was called “The Liberty Bell”, and all of the games we plunk money into today are descended from this original device. The Liberty Bell had three mechanical reels inside them, and on each reel, ten symbols were printed. In those days, these symbols are based on playing cards, which is why some people in the world still call these games poker machines (or “pokies”, for short–you can learn more about online pokies at PokiesSite.com, in fact.) On The Liberty Bell, you pulled a lever which caused those three reels to spin. Each one stopped in turn, and if the symbols across a row, you won a prize. On a machine like this, figuring out how the odds and probability work is quite simple. You have a 1 in 10 chance of hitting each symbol on each reel. In order to determine the probability of getting the same symbol on all three reels at the same time, you simply multiply the probability of each event. 1/10 X 1/10 X 1/10 = 1/1000. It’s a simple matter for a casino to decide to pay out less than the true odds would make a break even bet, and that’s where the house edge comes from. In this example, the odds are 999 to 1 of winning. If a casino pays out 800 coins for a win, then they come out way ahead on the deal over the long run. You can learn more about the Liberty Bell slot machine at the Fey Museum website. Modern slots work differently. You still see reels and symbols, but you often have machines with 5 reels instead of just 3, and the number of paylines you can win on have increased dramatically. Australia is well-known for advancing the way slot machines work dramatically. Some of these “Aussie slots” have 25 paylines, in fact. But the odds are no longer so easy to calculate. Many of these innovations came directly from a company named Aristocrat Technologies, which probably had more to do with how modern slots are played than anyone except maybe IGT. Since these modern games are actually video games, with videos of reels operating instead of actual mechanical reels, the number of reels and the number of symbols can grow dramatically. More importantly, since a computer determines the outcome of each spin, the odds of getting a particular symbol on a specific spin can be anything the programmer wants. You could have a reel with 10 symbols on it, and the odds of one particular symbol coming up might be 1 in 20 compared to another which comes up 1 in 5. The casino owners and the manufacturers know what those odds are, but they’re inaccessible to the casual player. So predicting the odds and payouts becomes a lesson in futility. That being said, modern slots for real money offer an excitement in terms of visual and auditory stimuli that traditional mechanical machines could never compete with. With modern technology, casinos can now offer larger jackpots, some of them even life-changing. One of the most positive outcomes in the advances in slot machine technology is the new ability of casinos to offer huge, life-changing jackpots. Progressive jackpots are called “progressive” because the amount of the jackpot grows progressively larger until someone wins. Once the jackpot gets paid off, the machine resets to its default value for the progressive jackpot, but it starts growing again immediately. Some progressives are individual machines, but most of them are part of a network. Every time someone wagers on a spin on a machine in the network, the jackpot grows larger. The Megabucks games in Nevada are probably the most famous of these kinds of games. The odds of hitting the top prize are ridiculously small, so the size of the payoff becomes tremendous. It’s not unusual to see Megabucks games with top prizes in the millions (or even tens of millions) of dollars. Even though the odds of winning are small, they’re still better than the odds a player faces when playing the lottery, and the amount of money required to place these wagers is smaller. Most lottery tickets cost a minimum of a dollar, although many scratch and win games sell for even more than that. But progressive slots can be played for nickels and quarters. Since the machines in land-based casinos are now basically video games run by computers, the difference between traditional fruit machine games and Internet based games is small indeed. The main consideration for most players is whether or not gambling on the Web is legal in their jurisdiction. We always advise our readers to obey the applicable laws in their jurisdictions, but we’d be remiss in our duty as information providers if we didn’t point out that no matter what the laws are, in most countries it’s unheard of that an online gambler would be prosecuted for something as innocuous as playing a game with spinning reels. Also, since online casinos don’t have to provide perks to their players like free cocktails, air conditioning, and furniture, they’re often able to provide payout percentages and odds that are actually better than what you’d find in a land-based casino. 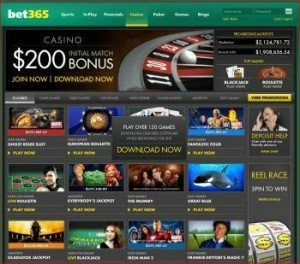 Many Internet establishments also offer unique games with symbols, sound effects, and bonus games you wouldn’t be able to find in a standard, land-based casino property.